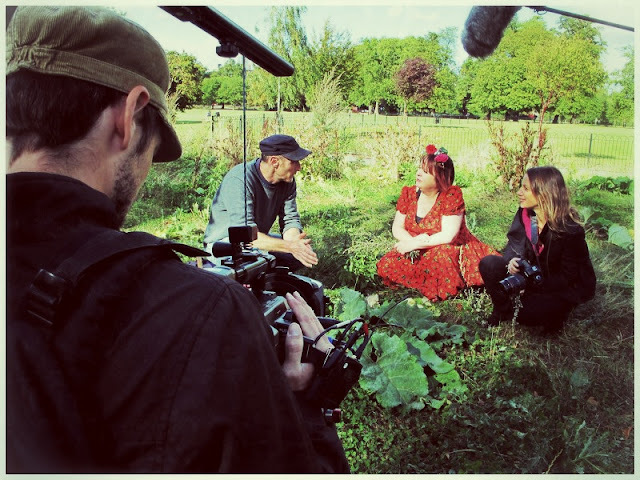 John Rensten and I appeared on The Discovery Channel last summer when they filmed us on a foraging walk around Clissold Park . I was impressed by his knowledge and infectious enthusiasm. John Rensten runs Forage London, which specialises in foraging in an urban environment. I find it fascinating to discover how much is edible or useful in London. Next weekend, on Sunday, I am thrilled to present a combination wild walk and supper club. John show us what to eat in the hedgerows of North West London. He will lead a walk around Kilburn and Willesden and then I will cook a foraged supper. Tickets are £60 for the walk and supper. Concessions are £40. You will be given a ‘foraged’ cocktail in a jar to talk on your walk but BYO for the meal. It’ll be interesting to see what is available right now considering the weather: examples are wild garlic, nettles, St George’s mushrooms, mallow, alexander buds. I’ll be playing around with fusions such as Indian and foragey food: nettle aloo? Hi Kerstin! 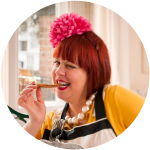 I found your blog because I saw your piece on the Food and Drink show- it was the best bit!! I loved it so much I've watched it twice so's I can squeeze all your tips out and use 'em. Thank you! How can that one possibly not be completely sold out?! I was always amazed by what I could find in the wild spaces around Lewisham when I lived there. It's there if you know where to look…. and give yourself the time to look. James: I think it's the weather!